Mayor Mick Cornett visits Phillips Murrah to discuss Oklahoma's future - Phillips Murrah P.C. Mayor Mick Cornett chats with members of the Phillips Murrah family during a visit to the Firm on June 30. 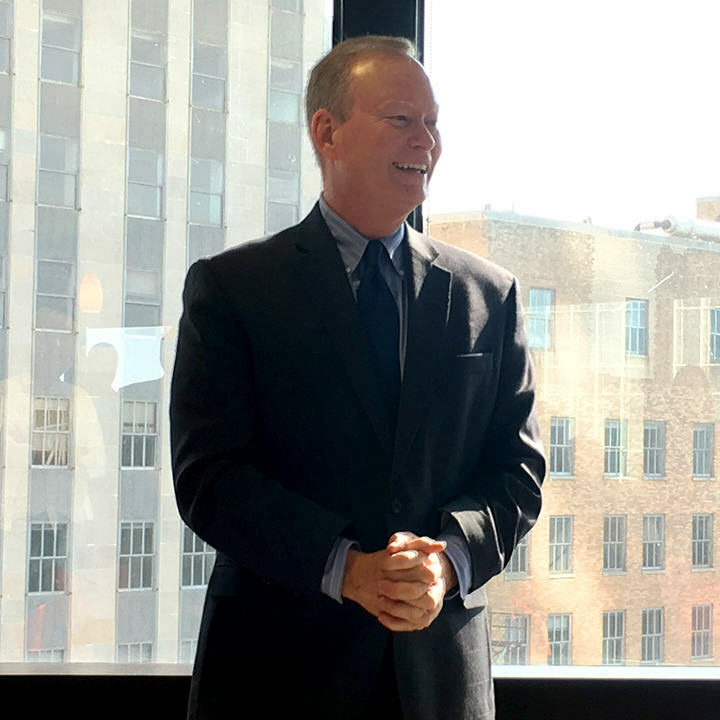 Phillips Murrah welcomed Mayor Mick Cornett to the Firm on June 30 to discuss Oklahoma’s future. Cornett spoke briefly about improvements being made to infrastructure, addressing concerns about transportation, and how Oklahoma City can be improved as a whole. “We’re going to have to raise the standards,” Cornett said. “Certainly we’ve seen in Oklahoma City we’re making prolific steps to improve measures, and it’s just a matter of addressing those issues statewide. To learn more about Mayor Cornett and the work his office is doing, please click here.